Looking for an affordable, vetted cleaner? Huiscleaning offers vetted cleaners in The Netherlands! Hourly wage of from €14,- (all-in). Huiscleaning offers home cleaning service in The Netherlands with vetted cleaners for an affordable price: from €14,- per hour. (all-in) We offer weekly or bi-weekly cleanings and you will have the same cleaner everytime. How to request a cleaner? Simply click on request a cleaner. and complete the application. It shouldn't take more than 2 minutes. We'll immediately start looking for a suitable cleaner that meets your requirements. We will contact you by email when we found a cleaner. 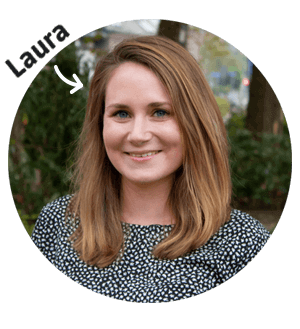 You pay the one-time mediation fee of €34,95 when we found a cleaner that meets the requirements you specified in the online application form. We vet all of our cleaners, who needs to pass an integrity interview that is compiled by the independent party DIIS. A company that is specialised in screening staff on their integrity. And they also needs to pass our interview by a staff member of Huicleaning. The cleaner performs a variety of tasks, such as dusting, wiping, bathroom / kitchen cleaning, window cleaning, ironing, making beds, washing, scrubing, vacuuming and mopping. You can discuss with the cleaner what needs to be done and the frequency. 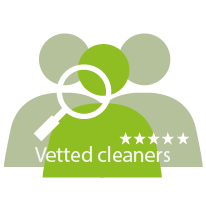 Large database of vetted cleaners who are rated and reviewed. You receive the personal data of the cleaner. You only pay when we found a cleaner that meets the requirements you specified. No cash payments! Pay by bank transfer after receiving your monthly invoice. The administration is arranged. Use our login system where you can find a lot of useful information and documents. (personal data cleaner, invoices, sample contracts, tips, etc.). Within 7 days you receive a message from us if we found a cleaner that meets your requirements.